All appointments are by appointment only and the salon will be closed on Mondays*, Tuesdays and holidays. *The salon will be open one Monday evening per month (typically the first Monday of the month) for nail trims only. Contact us — we’d love to hear from you, meet your furry (or not so furry as the case may be) family member(s) and answer any questions! Furrific is situated in the Stonehaven Estates subdivision — located roughly in between the Kemptville Pentecostal Church and Actons Corners. Confirmation that the dog is currently up-to-date on their vaccinations. All dogs must have the following vaccinations: Distemper, Measles, Parainfluenza, Adenovirus (a.k.a. Hepatitis), Parvovirus, Leptospirosis, and Rabies. Bordetella (a.k.a Kennel Cough) and Lyme are strongly recommended; but not required. 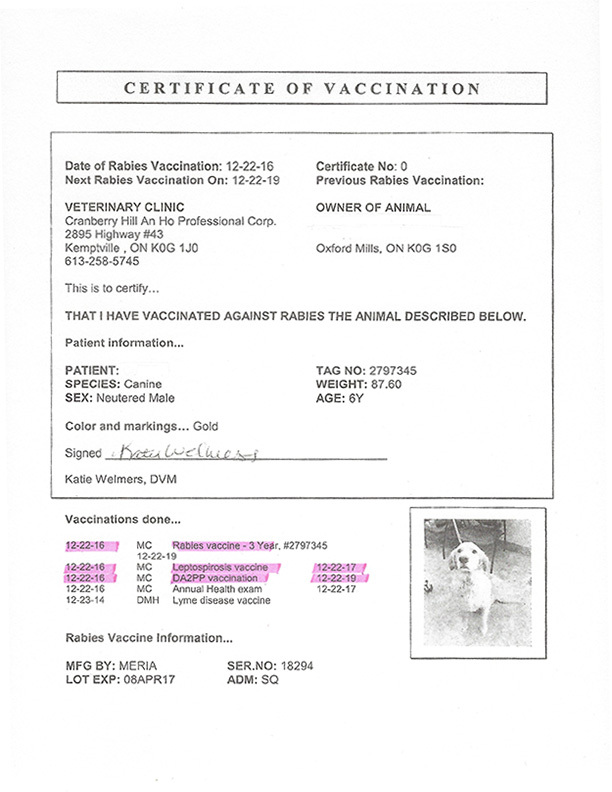 Note – Your vaccination certification paperwork may list some of these vaccines as DAPP – abbreviation for Distemper, Adenovirus (a.k.a. 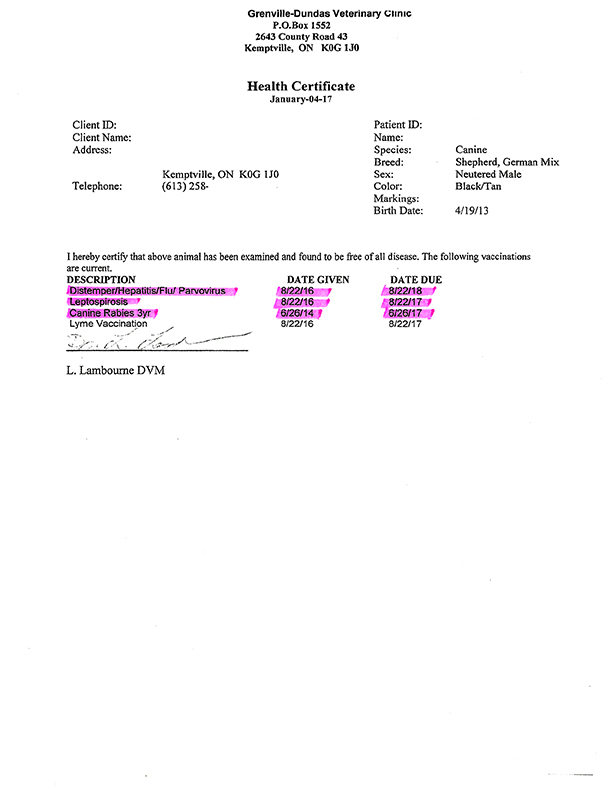 Hepatitis), Parainfluenza, and Parvovirus or DHPP – abbreviation for Distemper, Adenovirus (a.k.a. Hepatitis), Parainfluenza, and Parvovirus. See samples HERE and HERE.